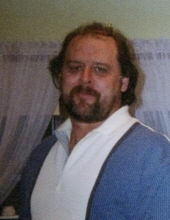 Jeffrey Raymond Overholser, 57, of Radcliffe, died January 11, 2019 at Mary Greeley Medical Center in Ames. The family will receive friends on Wednesday from 5 to 7 at the Soderstrum Funeral Home in Story City. Jeff was born on June 23, 1961 in Des Moines to Richard and JoAnn (Wenzel) Overholser. He worked as a welder and fabricator at Addatool. Jeff grew up in Des Moines and had lived in Huxley prior to living in Radcliffe the past 20 years. Jeff enjoyed working on cars, boating, fishing, hunting, tinkering with things and always seemed to be working on something. He enjoyed watching NASCAR and going to the Iowa Speedway. Jeff is survived by a son, Austin Overholser, a daughter, Kari Overholser; his father, Richard Overholser; two step children, Richenda Sebring and Danielle Pedersen; three grandchildren, Riley, Jaden and Aubrey; two sisters, Rhonda Overholser and Laura Bruce; a brother, Mike Overholser and his step siblings, Bill Richards, Debby Heller, Jamie Richards, Kori Roland, Wendy Frost and Carla Rankin. He was preceded in death by his mother, JoAnn Rankin. To send flowers or a remembrance gift to the family of Jeffrey R. Overholser, please visit our Tribute Store. "Email Address" would like to share the life celebration of Jeffrey R. Overholser. Click on the "link" to go to share a favorite memory or leave a condolence message for the family.